Bliss, is a psycho-thriller film starring Iza Calzado, Ian Veneracion, TJ Trinidad, Michael De Mesa and Adrianne Vergara under the direction of Jerrold Tarogand produced by TBA, Artikulo Uno Productions and Quantum Films. 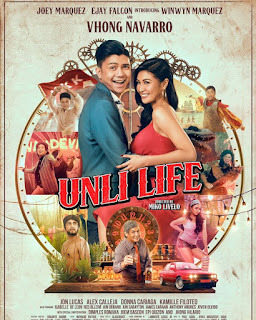 Premiered last May 10, 2017. The story is about Jane Ciego (IzaCalzado) a successful actressliving with her husband Carlos (TJ Trinidad). One day she decided to produce her own film in order to gain more respect in the entertainment industry. Unfortunately, during the film production, Jane involved in an accident and she became disabled. Her world shattered and have to live in a secluded home away from any press so she can recover quickly. Carlos hired a nursenamed Lilibeth (Adrianne Vergara), but the nurse is cruel and unusual. And so Jane's case gotten worse everyday and she turned insane. She started to experience horror and becoming mad in her own home. Another horror film starring IzaCalzado, a plot full of psychological scenes with horror that will make you scream at the top of your lungs. Surely, horror junkies will really enjoy this film. Kudos to all actors and actress that the film gained awards.